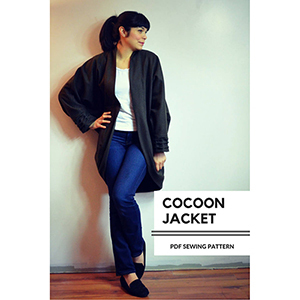 This gorgeous, woven or knit design is a unique dolman sleeve jacket with a curve hemline and collar. 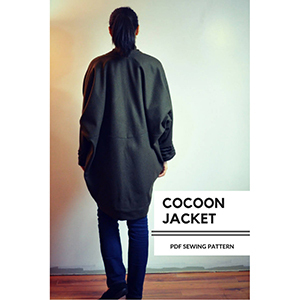 The jacket features some beautiful pleated cuffs and interesting design lines throughout the front and back bodice. 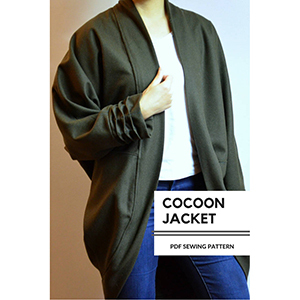 Suggested fabrics are hacci sweater, french terry, cotton lycra, DBP double brushed poly, or sweatshirt fleece.